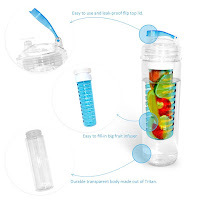 Haulbooty Product Reviews: Real Shopping Help: (Product Review) Infuzio Sport Water Bottle with Fruit Infuser 27oz. (Product Review) Infuzio Sport Water Bottle with Fruit Infuser 27oz. I love drinking infused water for more fluid intake. 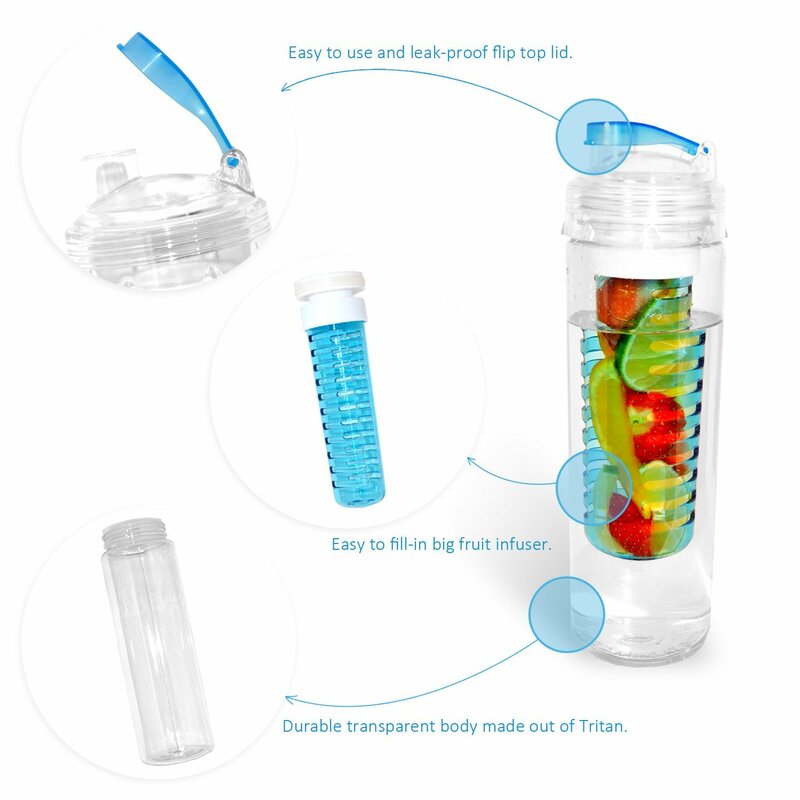 The Infuzio Sport Water Bottle with Fruit Infuser 27oz. makes it easy. This 27 ounce bottle is a great size to take along nearly anywhere I go. I fill the center cone with my favorite fruits such as strawberries, lemons, or limes, then fill the water bottle with water. You can also make some great infused waters using other ingredients such as cucumbers or fresh mint if you like. There are so many great ways to infuse your water and increase your fluid intake for better health. I fill it just before bed, and in the morning my water is perfectly infused with lots of great fruit flavor. Of course, you don't need to leave it all night if you don't want. Depending on the fruit/veggie you choose, you can have an awesome infused water in just a few minutes, or leave it as long as you like for stronger flavor. Either way, you can't get a much healthier drink than a deliciously infused water. I like that this water bottle is clear so you can see exactly what is inside, as well as how much you have left. The flip top makes it easy to drink and keeps your drink from spilling. 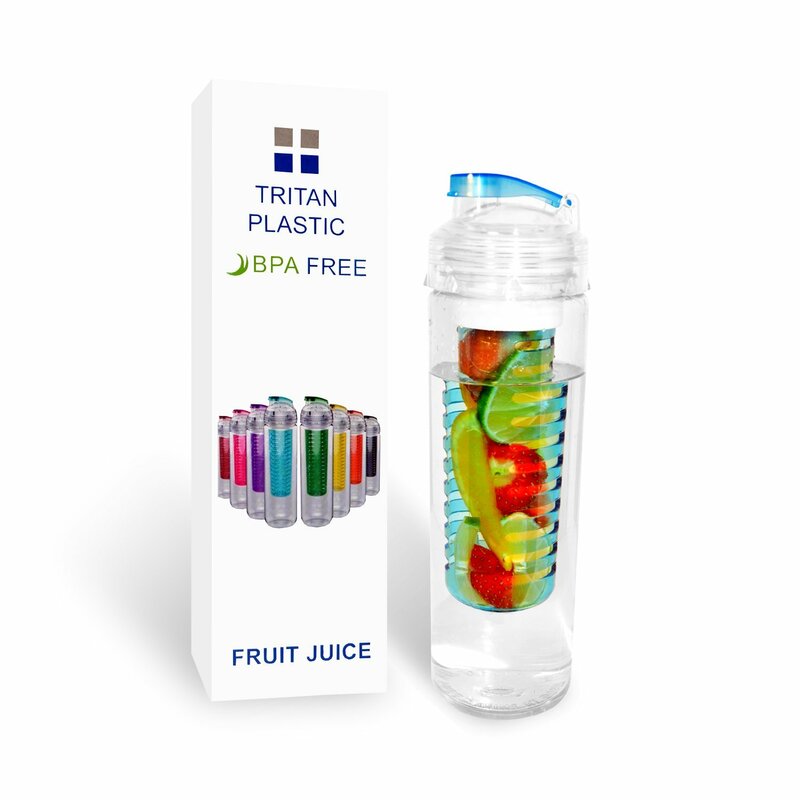 The tritan plastic container is both sturdy and attractive. 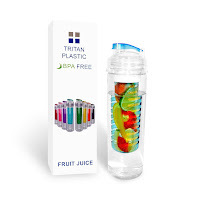 This is a great water bottle for both children and adults.